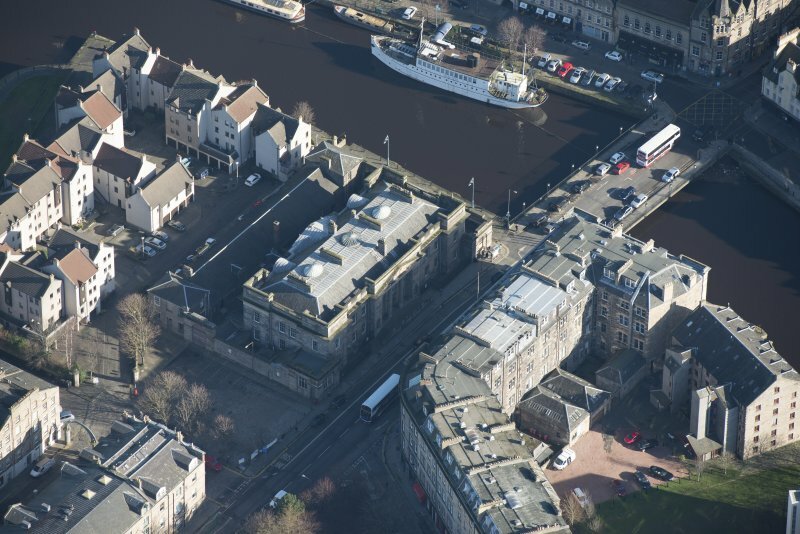 Oblique aerial view of Custom House and Stables, looking NE. 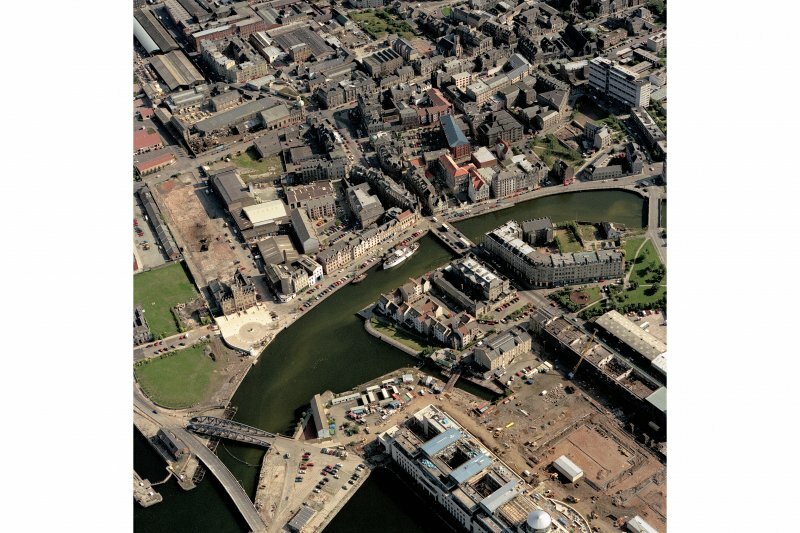 Oblique aerial view of Custom House, Stables and Bernard Street Bridge, looking NW. 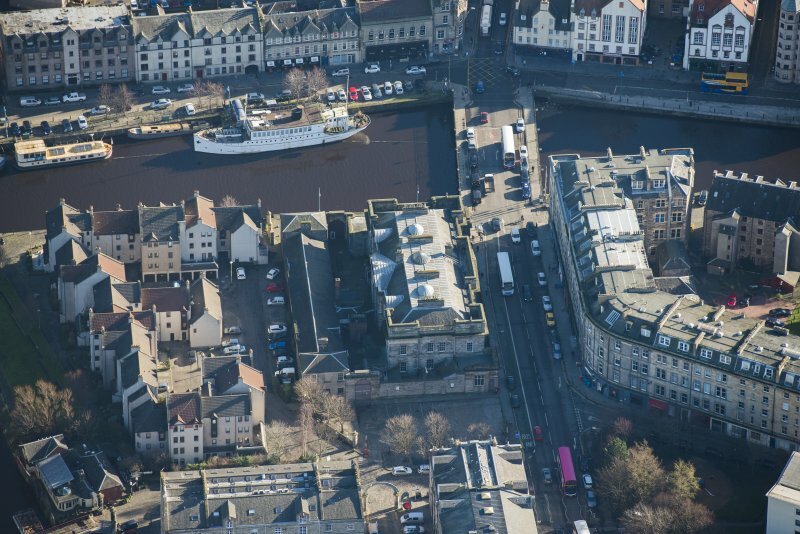 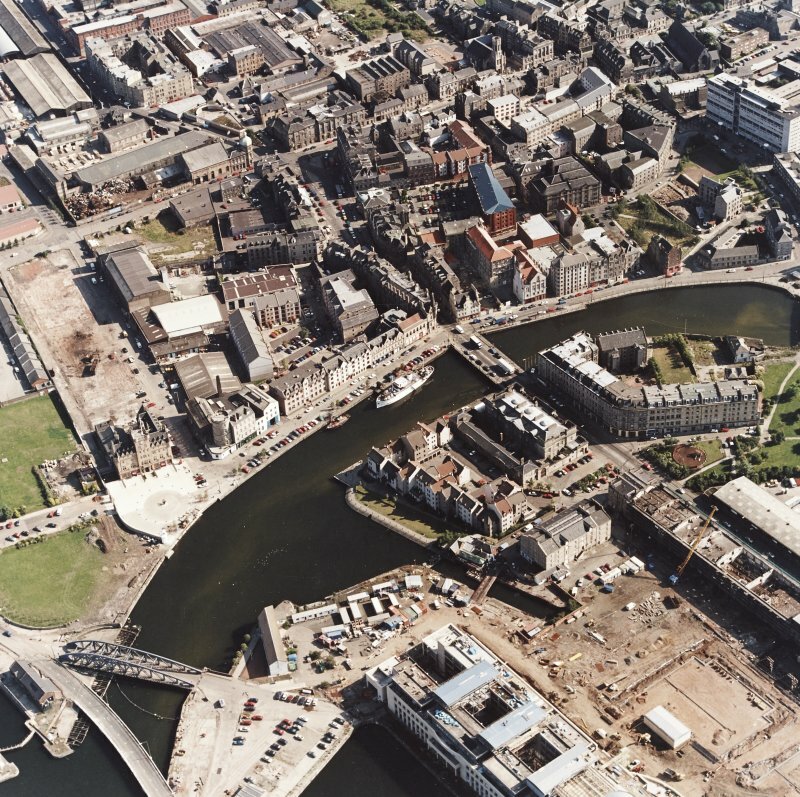 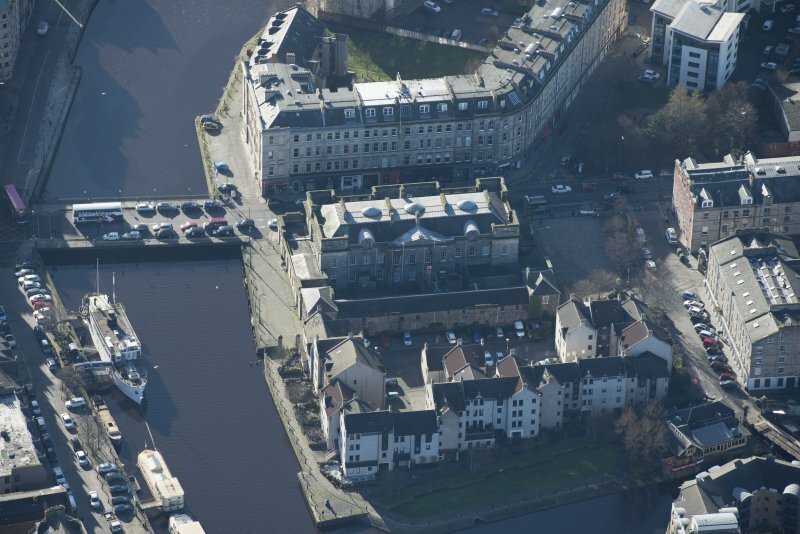 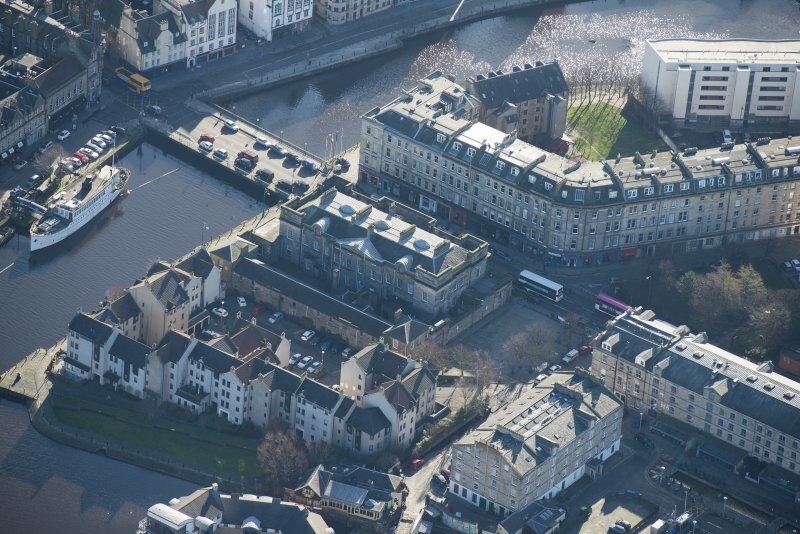 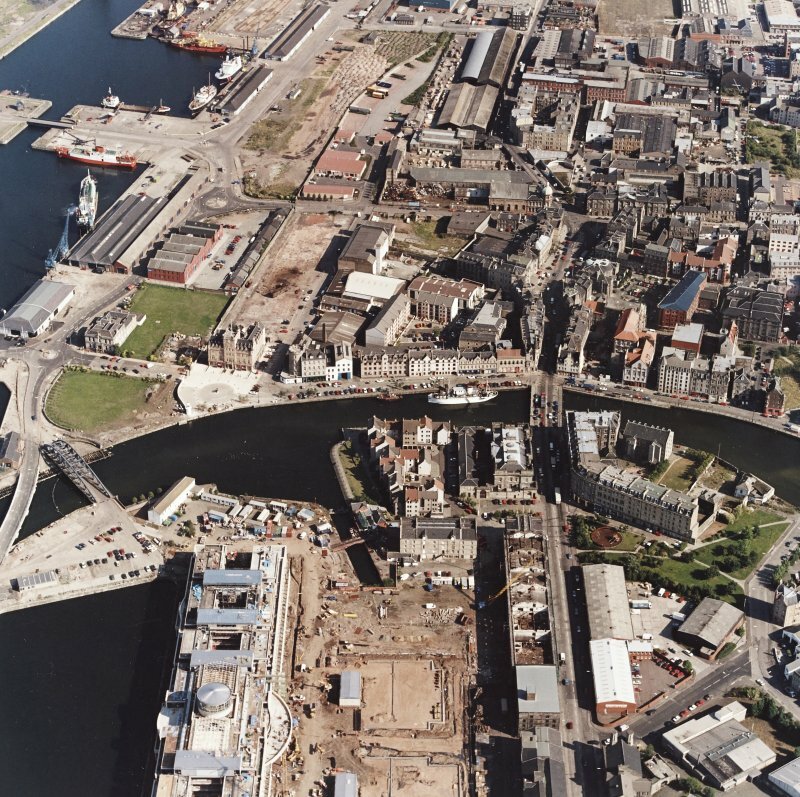 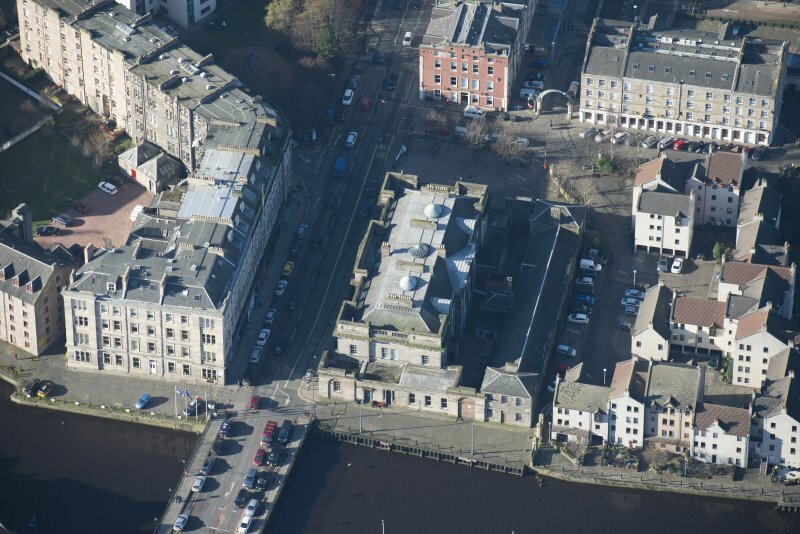 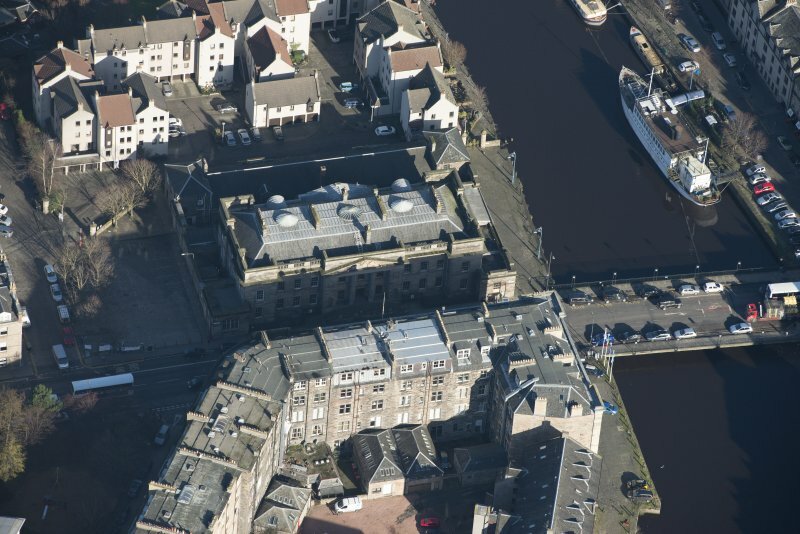 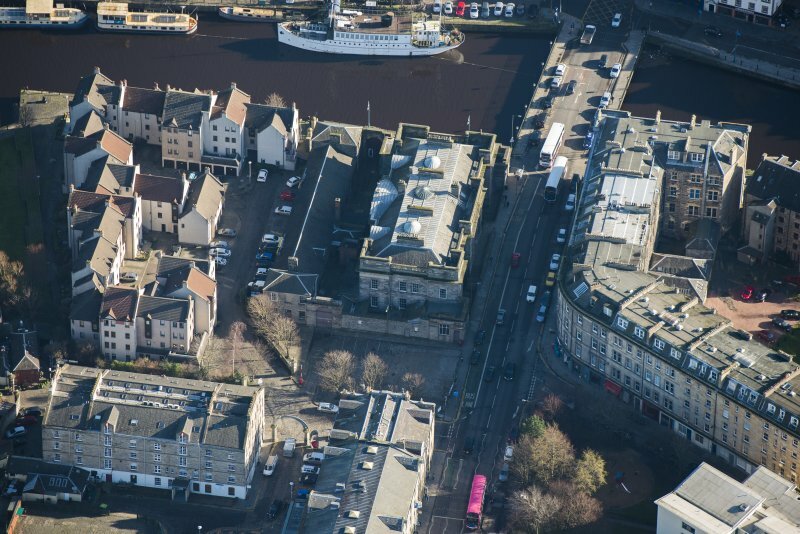 Oblique aerial view of Custom House, Stables and Bernard Street Bridge, looking ESE. 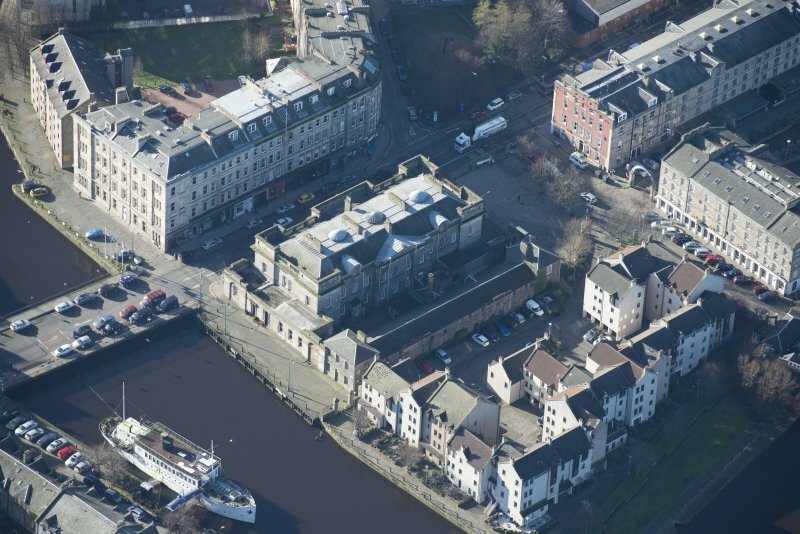 Oblique aerial view of Custom House and Stables, looking W.
Oblique aerial view of Custom House and Stables, looking NNW. 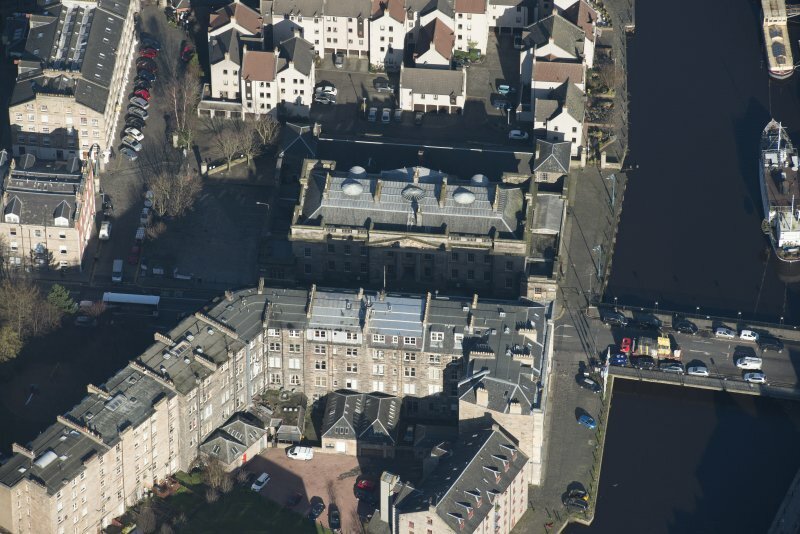 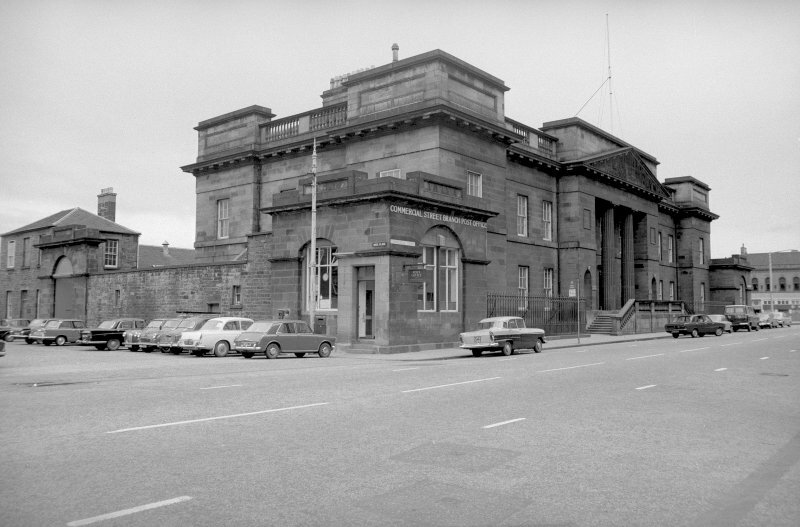 Oblique aerial view of Custom House and Stables, looking SW.
View of Arms of George III, in pediment. 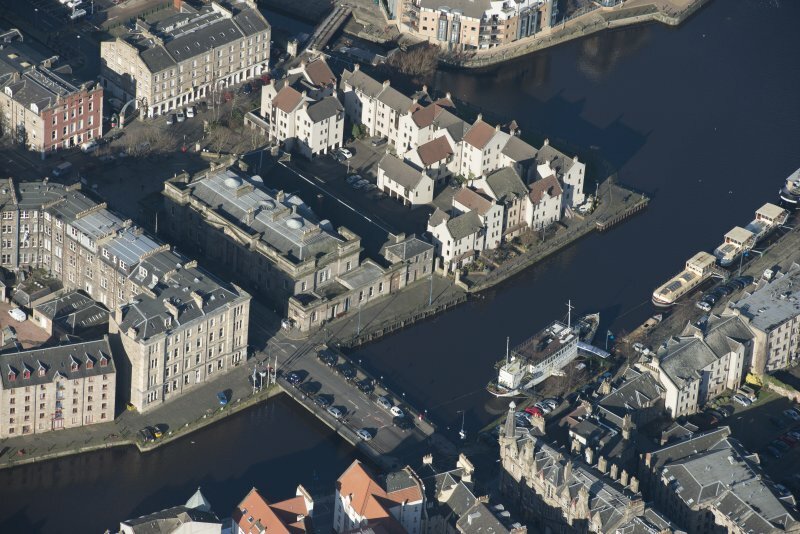 Oblique aerial view of Custom House and Stables, looking E.
Oblique aerial view of Custom House and Stables, looking WSW. 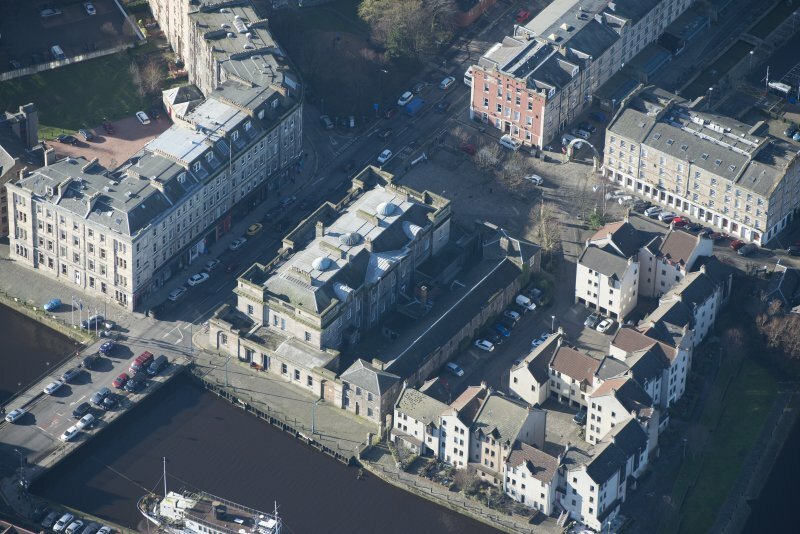 Oblique aerial view of Custom House and Stables, looking SSW. 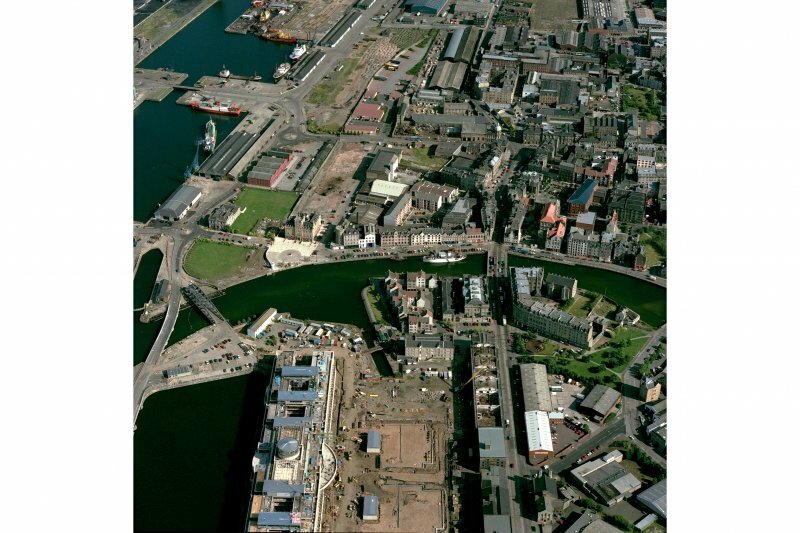 For (adjacent to N) Leith Docks, see NT27NE 57.00. 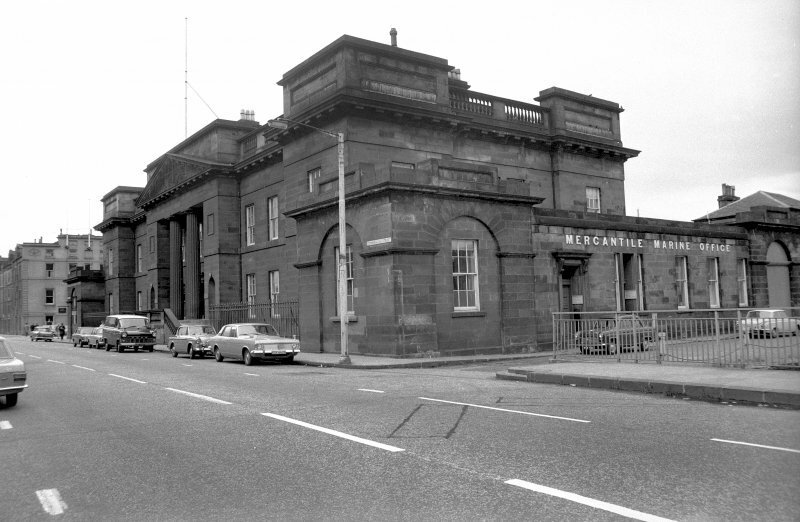 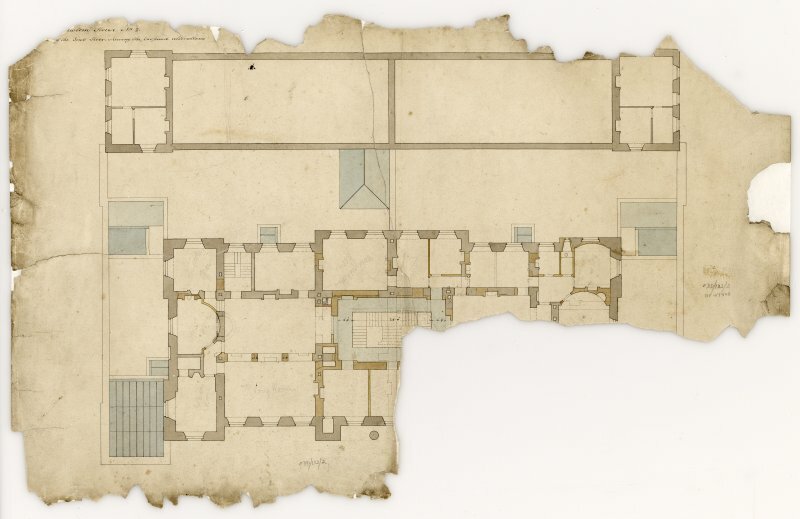 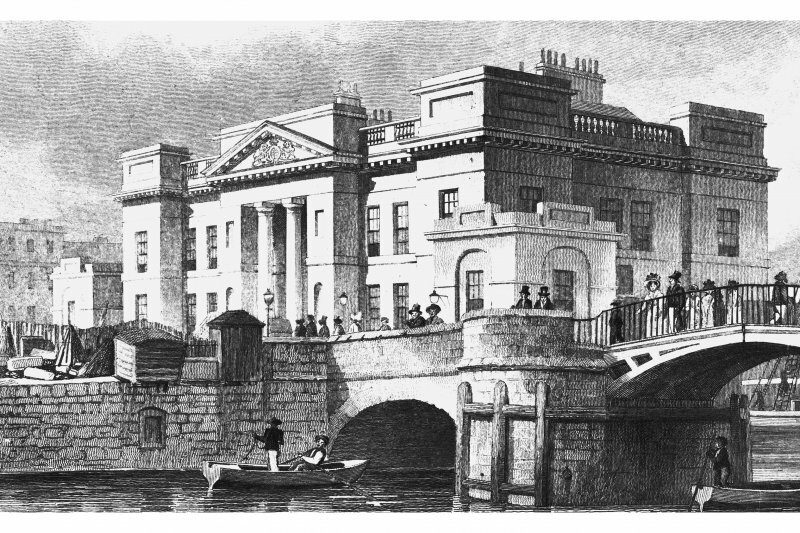 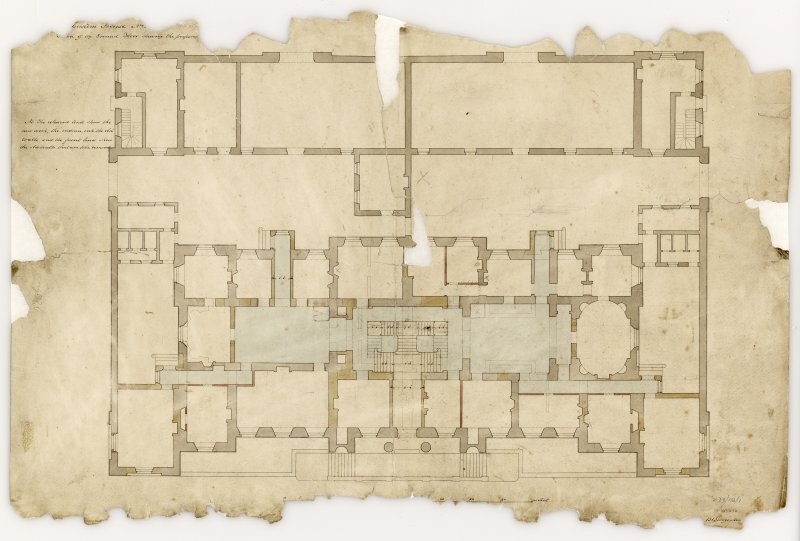 Built 1810-12, architect Robert Reid; additions by William Burn, 1824. 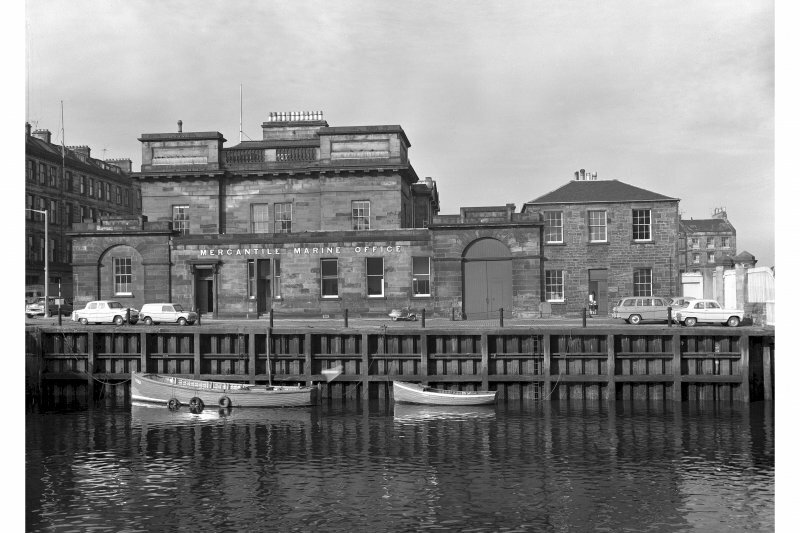 J C Irons 1901; RCAHMS 1951; J Gifford, C McWilliam and D Walker 1984. 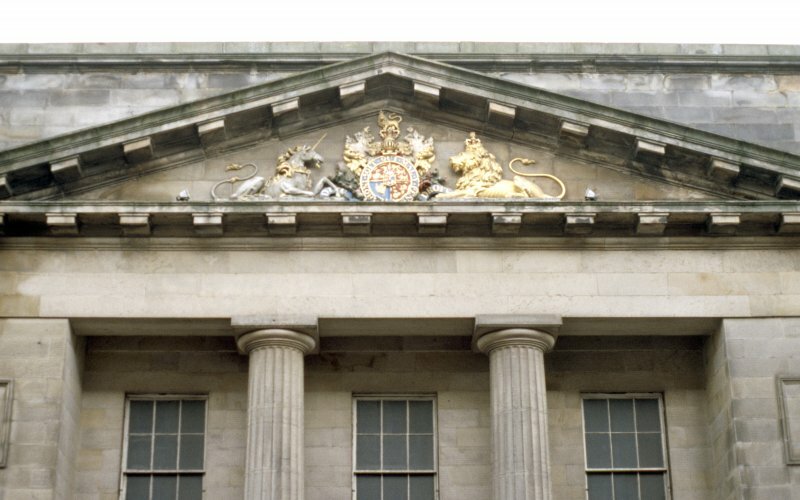 Large coat of arms of George III carved in high relief. 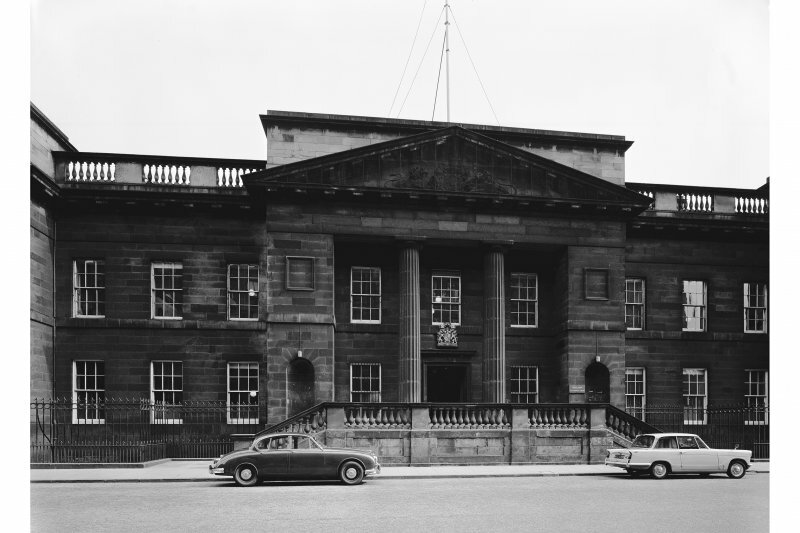 A central circular shield surrounded by a motto, is surmounted by a front-facing helmet with barred visor, on top of which stands a lion. 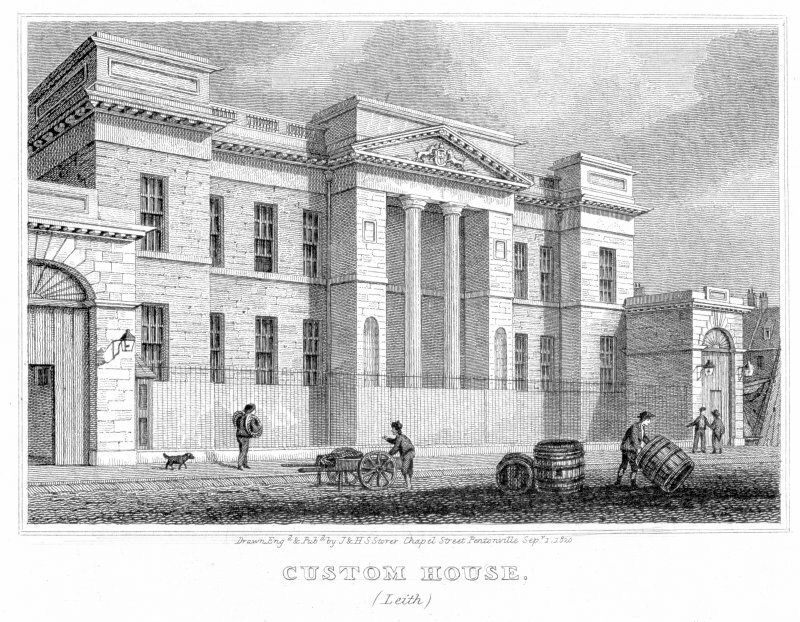 The shield is flanked by a collared unicorn (left), with thistles, and a gilded crowned lion (right) with roses.